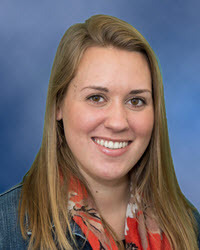 WISER is happy to announce that Lindsey Rosaschi has joined WISER as the new Administrative Assistant. Lindsey is a graduate of Franciscan University of Steubenville. She received her bachelor of arts in Communication Arts and Multimedia. WISER would like to give a warm welcome to Lindsey!